“Our life is frittered away by detail. Simplify, simplify.” -Henry David Thoreau. The process of planning a wedding in 2016 is not especially conducive to the “less is more” mantra. Brides-to-be are inundated with overwrought customizations and an exhausting array of aesthetic possibilities that all but insist the magic of a reception is measured by its weight in rhinestones. Sometimes a lady needs to lighten up, and her inner minimalist emerges with grace and confidence. A minimalist wedding isn’t about emptiness or scarcity; it’s about clarity of design. Take a cue from our McCall design and give your occasion a sleek make-under by focusing on premium construction, precise detail, and integrity of material. A conscious edit of standard bridal embellishments lets the occasion speak for itself and evoke cool sophistication. Sottero and Midgley’s McCall gown is perfect for the bride who understands that visual clutter doesn’t guarantee quality of design. This dress kicks the habit of adding bells and whistles to bridalwear, proving how restraint and precision can add to the satisfaction of a look or an occasion rather than detract from it. McCall makes a smart statement in form and silhouette by featuring a sophisticated bateau neck and regal A-line skirt, finished with a statuesque, impeccably-tailored waistline, an open back, and sheer-paneled insets at the side seams. Satin buttons run down the middle of the chapel-length train as an exquisite finishing touch. Who knew simplicity could look so dramatic? 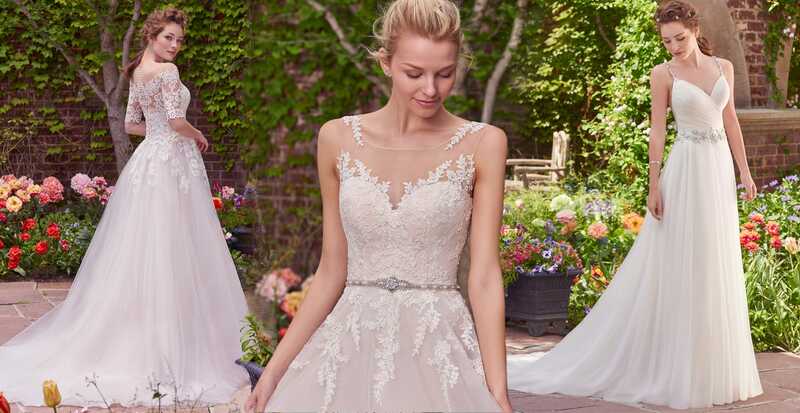 Let Maggie Sottero Designs help plan the rest of your minimalist wedding by keeping up with our blog! Want to share your own inspiration? 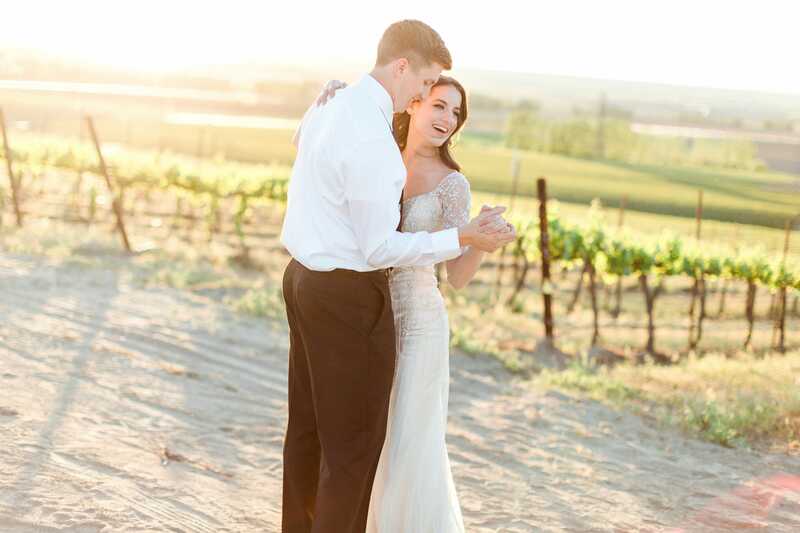 See our How-To link to be featured as a real bride!